Survival in the wilderness takes on a whole new dimension when you add in the variable of winter. 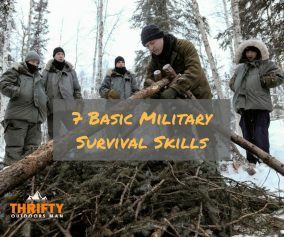 Winter brings a level of unpredictability that you must prepare for to ensure that you have the mental and physical tools needed to survive in any scenario. Winter brings ice, extreme temperatures, dangerous terrain like avalanche zones and semi-frozen waterways, along with additional obstacles for setting up appropriate shelters and finding food. 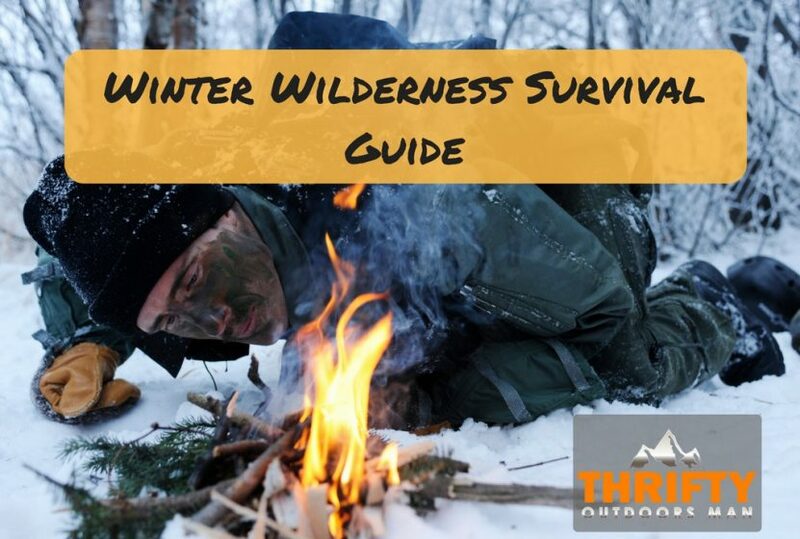 With this winter wilderness survival guide, you will learn the knowledge and tools needed to survive and thrive in a winter wilderness survival situation. 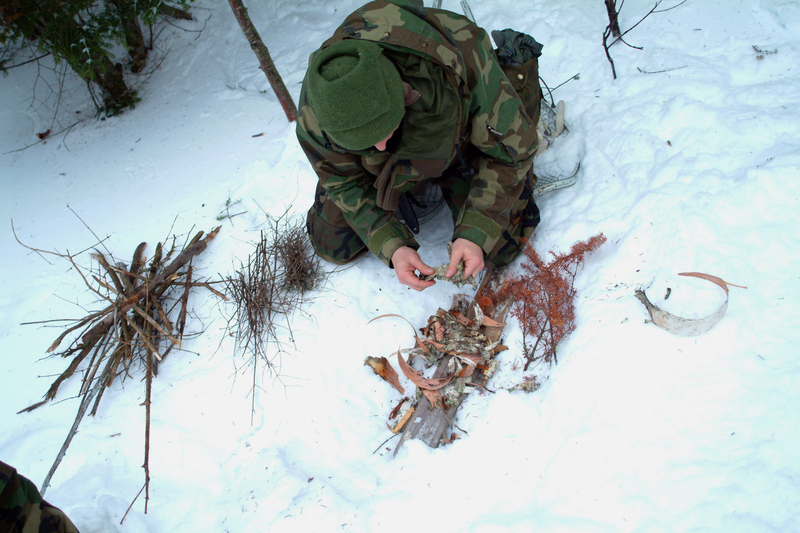 Finding and making a shelter are essential survival skills to practice and know inside and out, regardless of the weather conditions. Building a shelter in the winter is even more crucial for survival since sleeping under the stars in sub-zero temperatures could lead to hypothermia, or even death. A good winter shelter should protect you from the wind, be easily built to conserve precious energy, and be of sound structure to continue conserving energy that would be lost with an inadequate shelter. It’s also important to remember to build your shelter opening 90 degrees from the wind’s direction to give you optimal protection and to ensure that the smoke from your fire doesn’t pour back into your face. In a winter survival situation visibility is extremely important if you want to be found. You can’t be found if you can’t be seen. 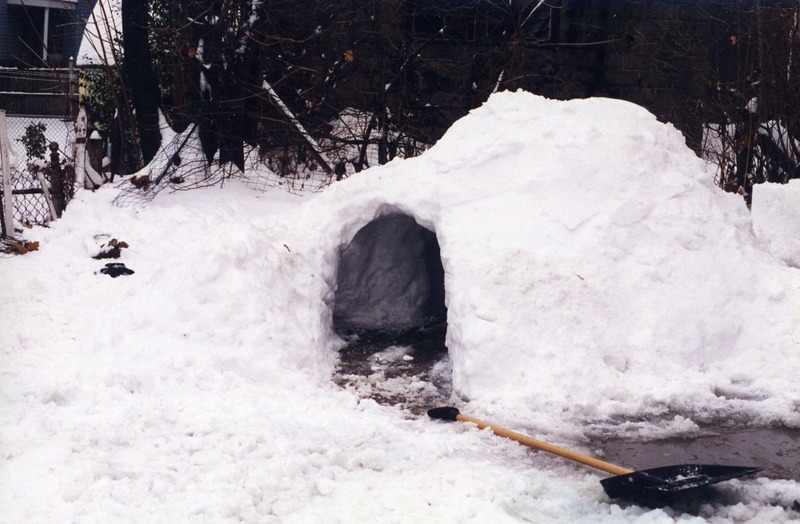 When building a snow shelter, it is best to dig into the snow to build up a wall of resistance for the wind, and to settle your shelter down into the snow hole. Avoid areas that have a higher risk of an avalanche, flash flooding, lightning strikes, falling rocks, and any other unstable hazards. Find an area that is mostly level, and provides a natural wind barrier. Look for a place close enough to water that it doesn’t require an exorbitant amount of energy to get to it, but far enough away that you aren’t at risk for water rising quickly. Look for high water marks and drift lines that could indicate the water rises in that area. Also avoid setting up in a dry river bed because you could wake up floating down the stream. Search for a spot that gives you a view of the sky so that you can look for any rescue and be able to signal them. Make sure that they would be able to see you too. When setting up your shelter, earlier is better. Try to give yourself at least an hour before the sun sets to set up, find wood, and prep food. Winter shelters can be difficult enough without adding in the extra obstacle of clambering around in the darkness. When you are building your shelter, avoid water runoff coming into your tent by digging a small trench around your tent that flows away from it and downhill. Once your shelter is set up, mark it well so rescue parties can find it, and so that you can find it if you plan on walking more than 200 yards away from it; snow shelters can disappear into the landscape easily. If you are setting up in the snow, always dig down to the ground. You never want to set your tent up on the snow because it will melt which makes for a cold, wet, and miserable night. 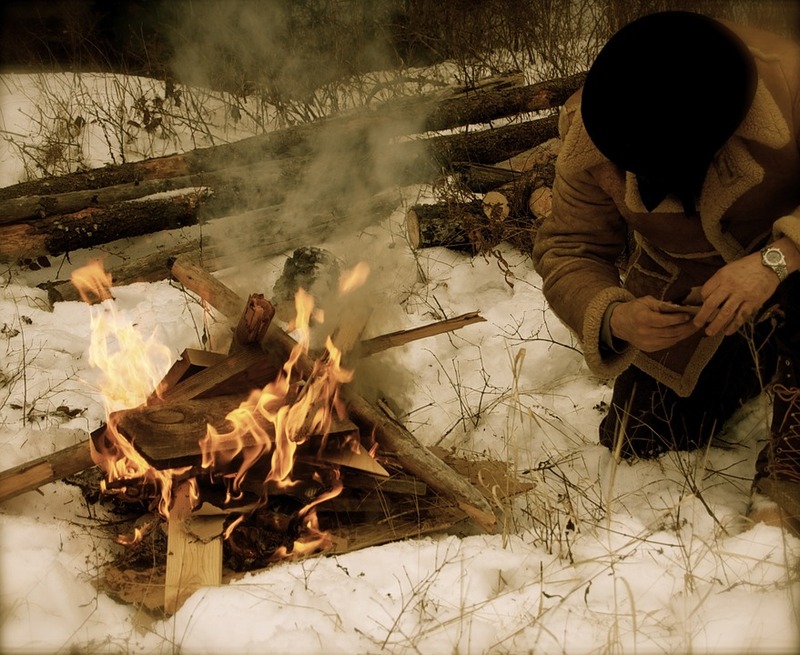 The next essential survival skill you need to acquire when faced with winter conditions is how to make a fire. There are a variety of ways to start a fire, so having a few options up your sleeve is ideal. One of our favorite ways to make fire in winter is by using a clear chunk of ice or water as seen in this article. When you find your camp, it’s best to gather all of your fire needs as quickly and efficiently as possible. If you are having trouble finding dry wood, you can break open downed branches and trunks and use the dry insides. When choosing a fire location, the closer to the tent, the better. But a word of caution - beware of getting too close to anything that could burn (like the tent!) and be aware of the wind and ventilation in your tent for health and safety reasons. It’s best not to start your fire on the snow for obvious reasons, it will melt. If you do start the fire on the snow, be prepared for the melt and make sure it has a place to go besides into your fuel or into your tent. It is imperative to keep your body temperature at a safe level. 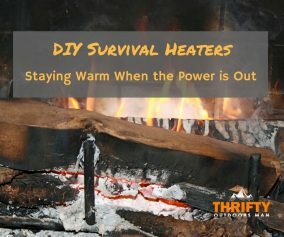 This can be a difficult task in winter weather, when you didn't expect to be in a survival situation. As far as clothing goes, staying dry is the key to keeping warm. Never set up your shelter directly on snow, it will melt and reduce your body temperature. If the snow is not too deep, it’s best to dig a trench to the ground and put your shelter on a firm foundation. 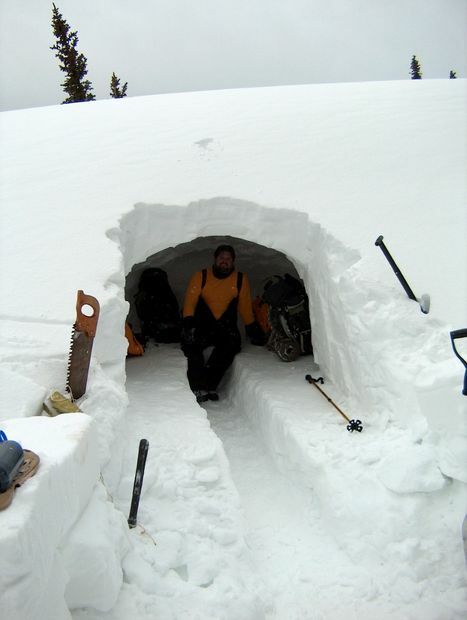 Setting your shelter up below the snow will also provide you with wind protection and insulation. Fire is another great source of warmth. Before going to sleep, you can heat some water and put it into a heatproof water bottle. Then you can sleep with the water bottle for added warmth. Another option is heating some rocks that you can wrap in clothing and then snuggle that during the night. It’s best to keep your head and feet dry and covered because you lose a lot of heat out of these places. Setting up a survival bed as illustrated in the image below might require a lot of work and energy, but I'm sure it will provide you with a good warm sleep which in return will give give you a lot of energy back. Another great way to keep your body warm is by eating food. Food will keep you nourished while also causing your body to work a little bit, but not too much. Knowing some basic first aid could go a long way in prevention and treatment of injuries. Winter related injuries have some clear signs that might be missed if you aren’t familiar with the proper symptoms to watch for in a winter survival situation. Coastal Survival has a great guide on wild first aid. Shivering; although the shivering can stop once the Hypothermia worsens. Poor decision making skills. You may think you are actually hot and start trying to strip your clothes off. This is a bad sign. Lack of coordination or clumsiness. Drowsiness and very low energy. Faster breathing and a higher heart rate. The simplest way to protect yourself from Hypothermia is proper body coverage. Cover everything, including your head, face, hands, and feet. Avoid overexertion that causes you to burn more energy and sweat. The perspiration will make you wet, and combine that with the cold, and you will lose body heat much faster. Seek shelter ASAP. When Hypothermia is setting in, getting out of the elements is imperative. Consider it a life or death emergency. Once the person suffering is safely out of the weather, start working to warm the body externally; typically with blankets, fire, a warm bladder, or another body. Once the body starts to warm externally, start working on warming the body internally by making some warm tea or cocoa (or even just warm water). If the victim is unconscious, don’t try and force feed the person the liquid, just work on warming their body. Frostbite occurs when a part of the body is exposed to cold temperatures for a prolonged period of time. Frostbite is when tissues freeze and then die; causing numbness or loss of feeling, and even worse, amputation in severe cases. The best prevention to Frostbite when out in the wilderness is keeping the body covered and layered with clothing properly, and proper circulation. Too tight boots, watches, or clothing can reduce circulation and increase the risk of Frostbite. Another Frostbite prevention step is staying hydrated. When treating frostbite, the best option is to get to a medical care facility. In a survival situation, that, most likely, isn’t possible. The first step is to get out of the elements so that you can begin the rewarming process. It is important to proceed with caution because the tissues will be very sensitive to further damage. Rewarming too quickly can cause severe pain and shock. One option to rewarming the affected areas is to place them against warming spots of a partner's body; like the groin or armpit. Another rewarming option is placing the body part in tepid water (104 degrees). This water will cool very quickly and will need to be replaced frequently. Allow the part to air dry. If drying it yourself, don’t rub it. Depending on the severity of the frostbite, blisters might form. Don’t pop them. Just allow the body to rewarm slowly and as painlessly as possible. If available, offer ibuprofen for pain management during and after the rewarming pro﻿﻿ces﻿﻿s. Staying hydrated is important in a survival situation. If you don’t stay hydrated, you will surely die. Most people feel less thirsty in colder weather, so remembering to drink water frequently is essential to optimal health. If you are surrounded by snow, you might feel the urge to just eat the snow as a means to hydrate. 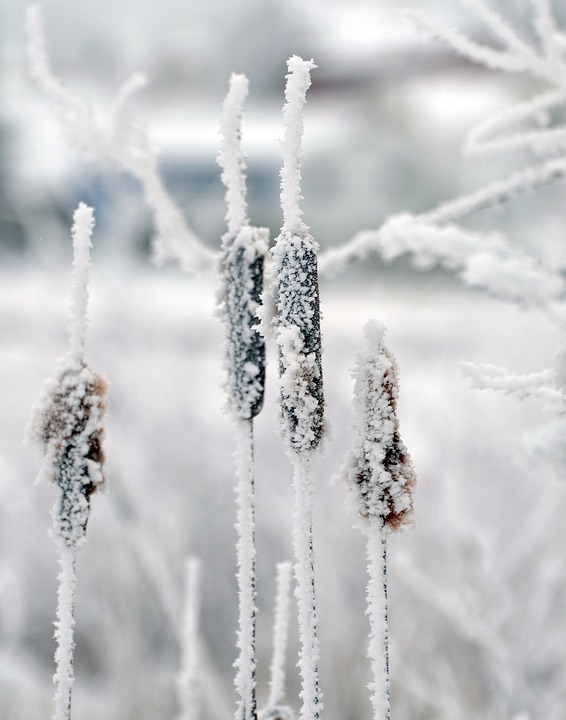 In a winter survival situation, preserving your energy and body heat are your top priority. When you eat the snow, your body burns a lot of energy first trying to melt it in your mouth and it greatly lowers your body temperature since the snow is cold. 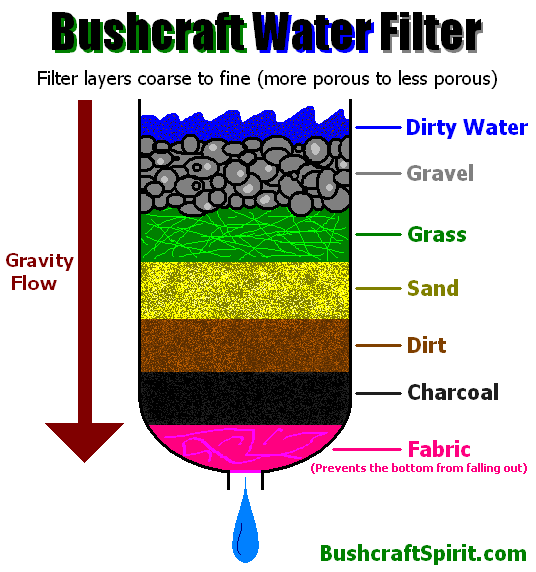 Melting and purifying snow is as simple as boiling the snow so that it is safe to drink. Choose your snow wisely. It’s best to use pure white, freshly fallen snow. Avoid any snow with color (you might find yellow, red, pink, or green). When melting snow there is a special way to do it properly. No, you can’t just pack the snow into the pot and leave it. You want to start with a smaller amount so that you have an inch or so of water. Then slowly add more snow, stirring it, so that it all melts gradually. Just leaving it can lead to scorched water that smells like burnt rubber (yum!). If you’ve chosen snow wisely, you don’t necessarily need to purify it. To purify, just bring the water to a boil. Keep your water from freezing in the night by adding warm (not boiling!) water to your water bottle and then sleeping with it in your sleeping bag. It will also keep you warmer. By warming your snow into water, you can also warm your body internally by drinking the warm liquid. Hopefully you have some food with you, but if you find yourself without, there are ways to find food in the winter wilderness. Here are 10 different edibles that you can forage for in the wild, depending where you are. Winter foraging sounds easy on paper, but it is hard work. 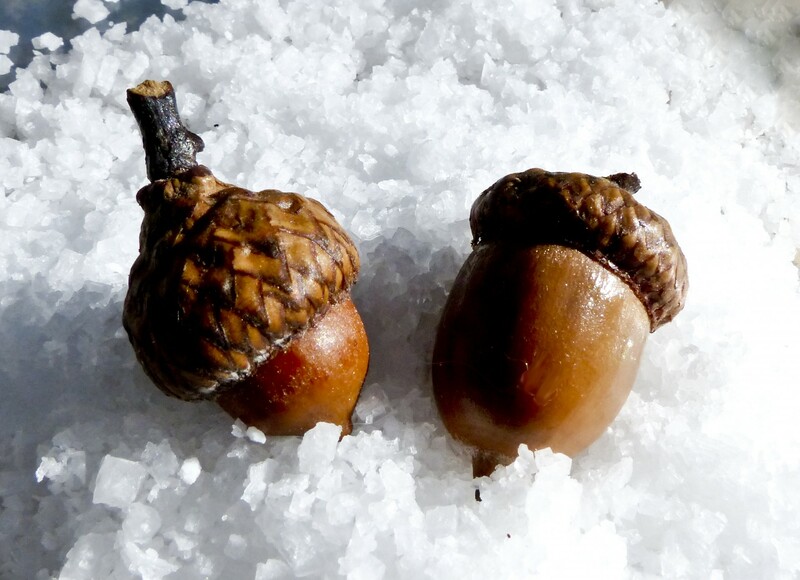 Below I have illustrated some of those edibles that you could possible find in winter. Fishing and trapping are another approach to finding food if you have the tools and skills necessary for success. Hunting is best avoided in a survival situation because of the difficulty and amount of energy that will be expended. You can utilize some simple found “tools” for fishing or trapping. 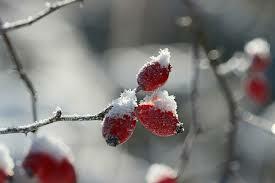 In the winter, you will need more fuel (food) to keep your body going, that's why it's important to finding edible food. This goes without saying, but it’s best to be very cautious around ice. There are different situations to be aware of in regards to ice; a partially frozen river, a fully frozen lake, mountain ice, and so on. Ice has a difficult time forming solidly when there is any moving water. Be aware of how close you get to a river, just in case you are actually standing on snow-covered ice. 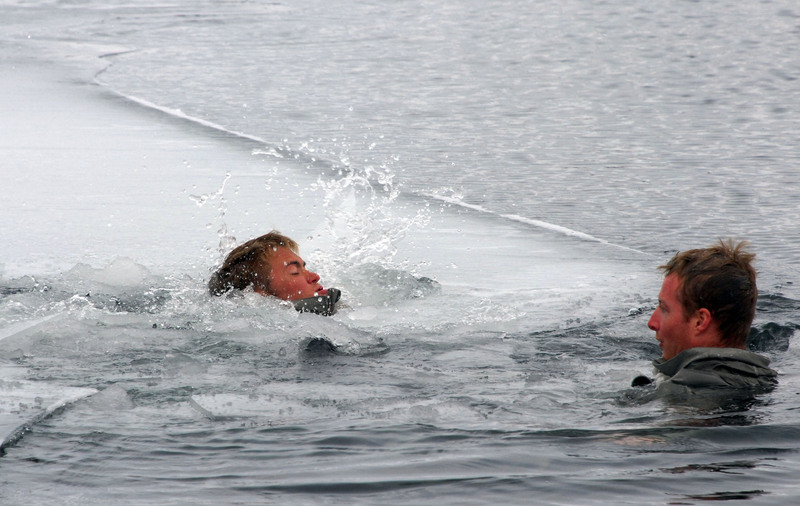 If you come upon a frozen lake, look for dark spots, tracks, fallen snow, and large debris. If you see deer tracks, the ice should be thick enough. If you live in an area where otters are present, be aware that the presence of their tracks usually means an opening in the ice. Dark spots indicate water flow and a weaker spot. Freshly fallen snow can create insulation over the ice creating a weaker top layer. Large debris will also cause weaker ice around the area of the log or boulder. If you know that you will be travelling on frozen water, always carry a claw so that you have something to help you get out of the water if you happen to break through and fall in. Another hazard with ice is falls. Crevasses can open up in mountain glacier ice. Crevasses can be 100s of feet deep, and not something you want to fall into. 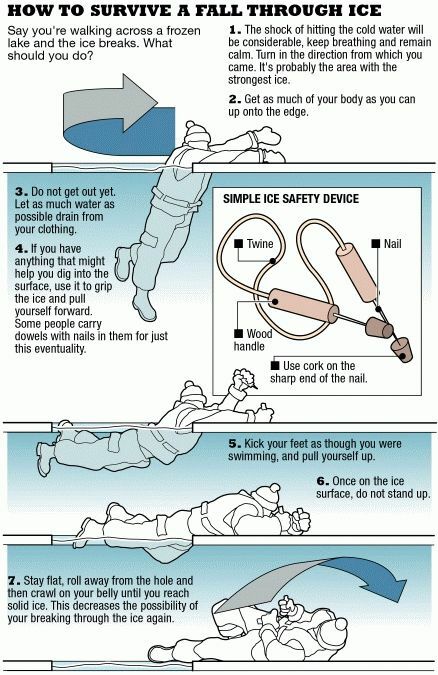 Large icy areas can also pose slipping hazards. Whatever type of ice you are on or around, be cautious of every factor surrounding the ice and move carefully. When you realize that you are lost and in situation that survival depends on you keeping your wits about you, it’s very easy to feel overwhelmed and panicked. The first step to getting found (and surviving) is keeping a clear head. Panic isn’t going to build you a shelter, make a fire, and keep you fed. When you first realize that you are lost, stop. Don’t jump immediately into action. Take note of your surroundings, the terrain, a map, trails, the weather conditions, and how much sunlight you have. If you are truly lost, then staying put is the best bet instead of expending a ton of energy wandering around in circles, or deeper into the wild country. 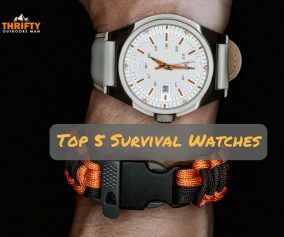 A search party will most likely come looking around the last known place and if you travel far away from there, your chances of getting found can be greatly reduced. 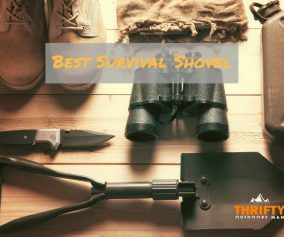 Survival is the key to being found alive (obviously!). So set up a shelter and get your fire going. Make sure there are plenty of visible signs of your camp, especially if there is snow on the ground and you’ve dug into the snow to set up. To survive, you will need to conserve energy. The less energy that you burn up, the less food you will need. You will still need water, so use your eyes and ears to listen for sounds of running water (or melt some snow to consume). If you need to leave your survival camp, make sure that you set up very clear tracks for anyone passing by, and so that you can find your way back. It is very easy to lose sight of a shelter when everything is covered in white and the shelter is built below the snow. To aide in the attempts to be found, make yourself as visible as possible. Smoky fires can attract attention. Three smoky fires in a row is a standard distress signal. You can use space blankets or mirrors as reflectors; reflectors can reach as high as 10 miles into the air, alerting any passing aircraft that someone needs help. They may not be able to rescue you, but they can alert others of your location. An important note - If you are going out alone, always tell someone where you are going, your intended travel route, how long you plan to be gone, and any other pertinent details. If you go alone and don’t tell anyone, then no one will be looking for you and it will be up to you to figure out how to save yourself. Winter excursions in the wilderness can be an elevated and exciting experience. The winter places many more obstacles in front of you, and requires meticulous planning and preparation to ensure that you have the greatest chances for a successful trip. 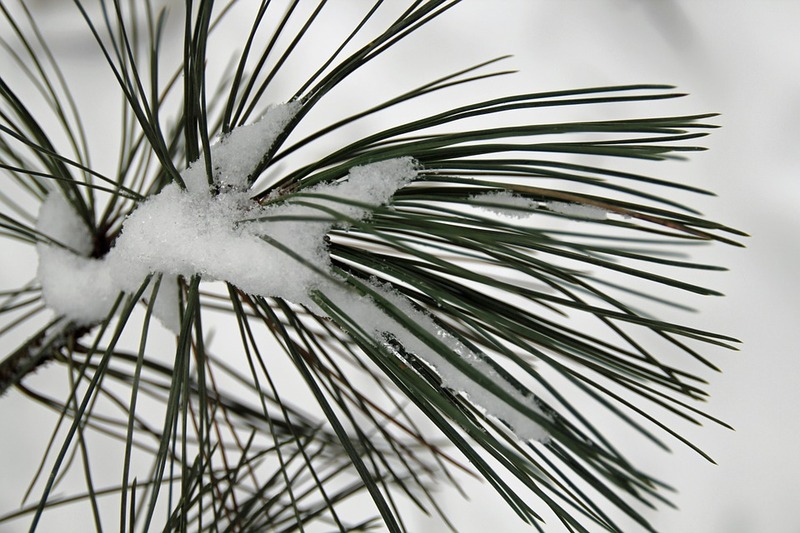 We hope this winter wilderness survival guide provides you with some important takeaway points to planning and safety.